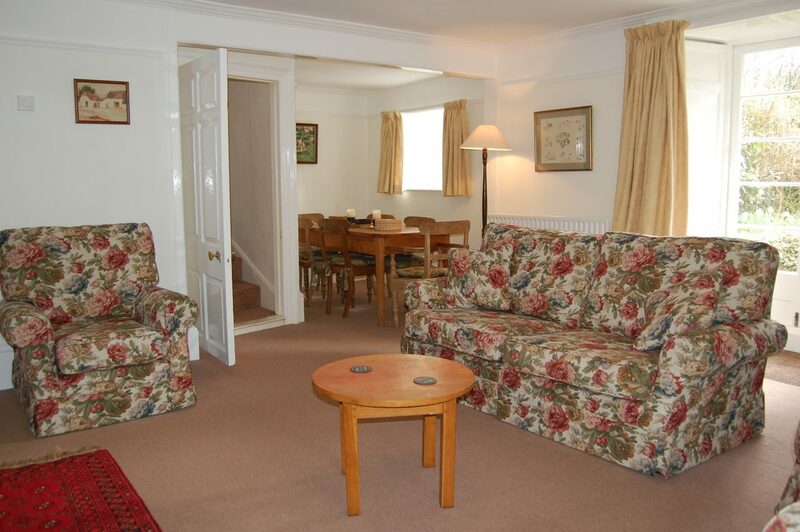 The self catering accommodation is in the wing of our home, it has a real family atmosphere, is warm and cosy and well equipped for your stay on Exmoor. There is wireless connection to the internet with good broadband speed. The best mobile network coverage at Burrow is Vodaphone and for users of Orange and O2 they will connect in other places on Exmoor. 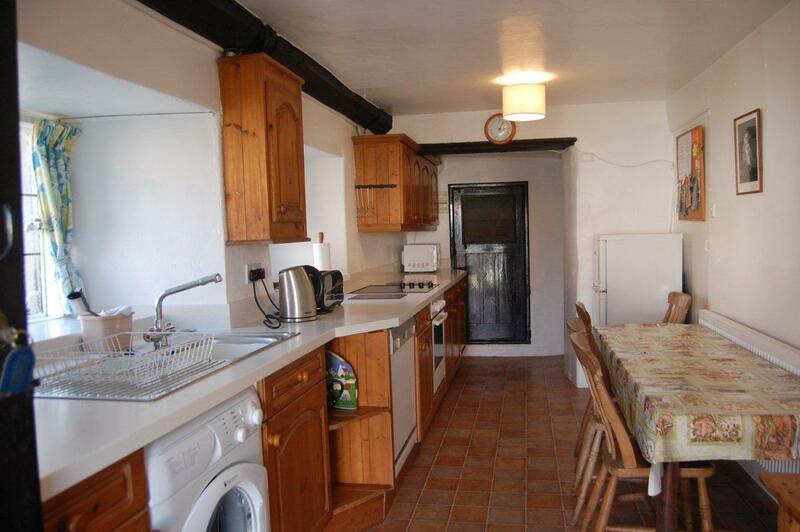 The fully fitted kitchen has a fridge-freezer, electric cooker, washing machine, tumble dryer, dish washer and microwave. The large kitchen table is ideal for the family holiday breakfast. 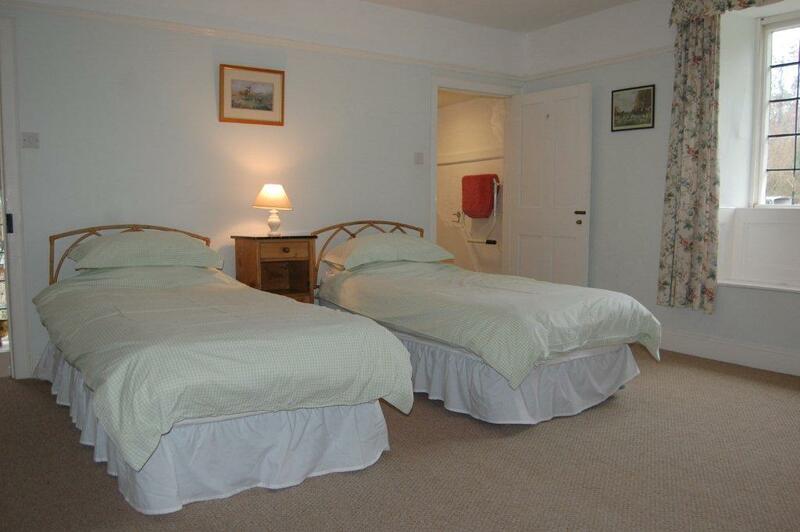 Bed linen and towels are provided, also a high chair and cot are available. The cottage has oil central heating. A stable door looks out onto the farmyard and across to open countryside. wood burning stove and large french windows leading out to the patio and garden. 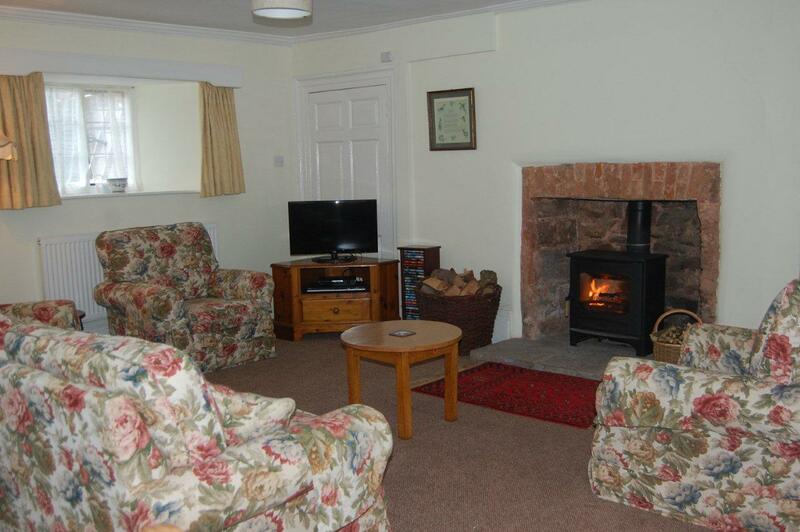 TV and plenty of local books and maps are provided to help you enjoy your stay. We also have a large selection of children’s DVDs for your use. 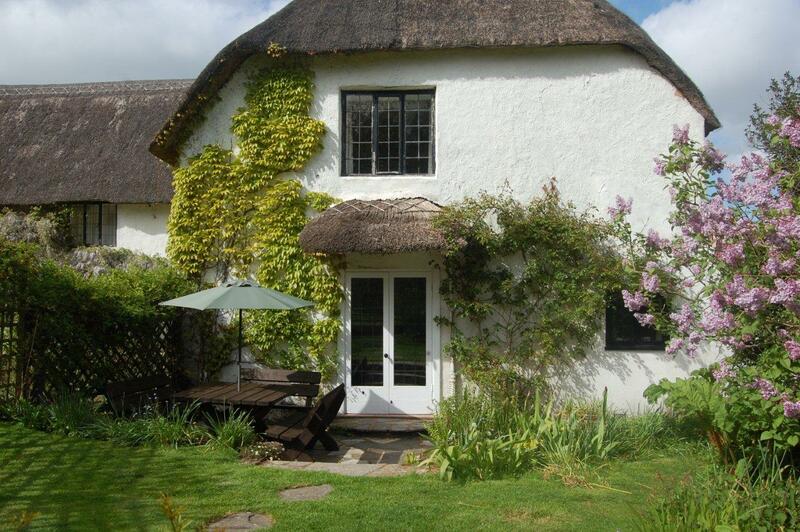 The main bedroom has a king sized bed and overlooks the farm courtyard with stunning views to Grabbist Hill. 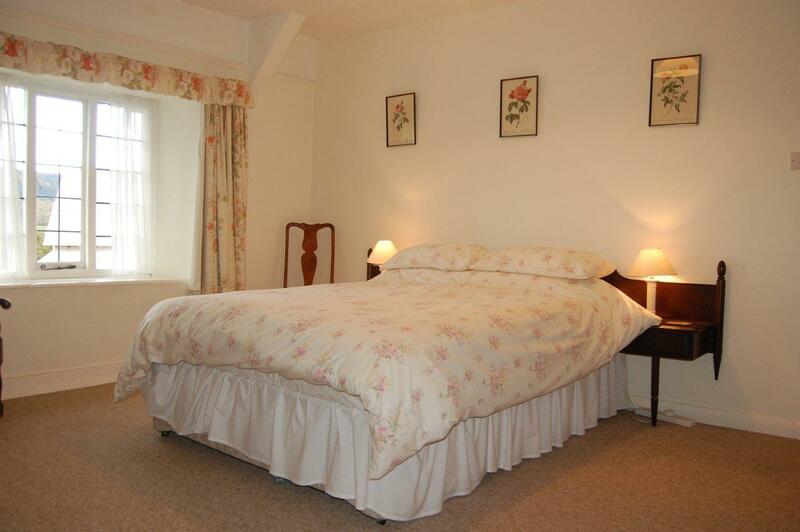 The second bedroom has three single beds and overlooks the garden and orchard. 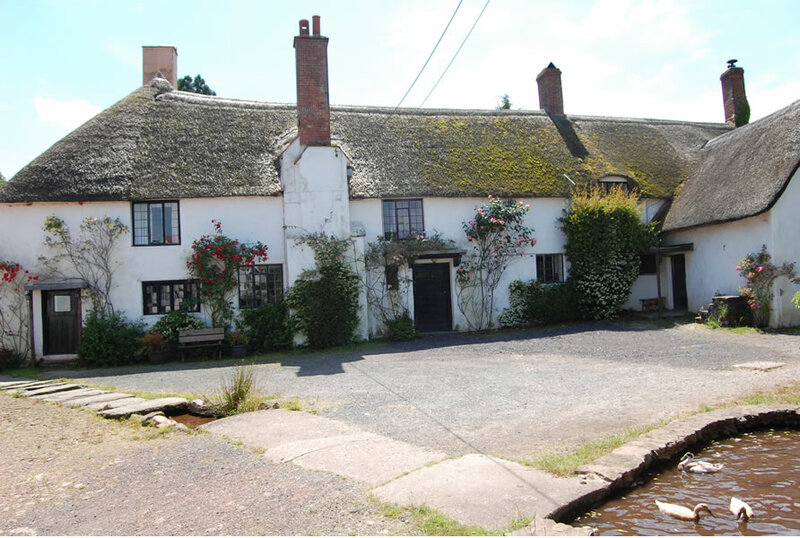 Upstairs there is a bathroom with bath/shower and a separate WC and the second bedroom has an en-suite shower and WC.